One of my goals for the 2019 year is to read more. I love to read and used to read a lot more before my plate became full of parenting, homekeeping, working, and general life happenings. In my journey of prioritizing self-care, I've realized I needed to prioritize tasks that I enjoy and grow me as a person. 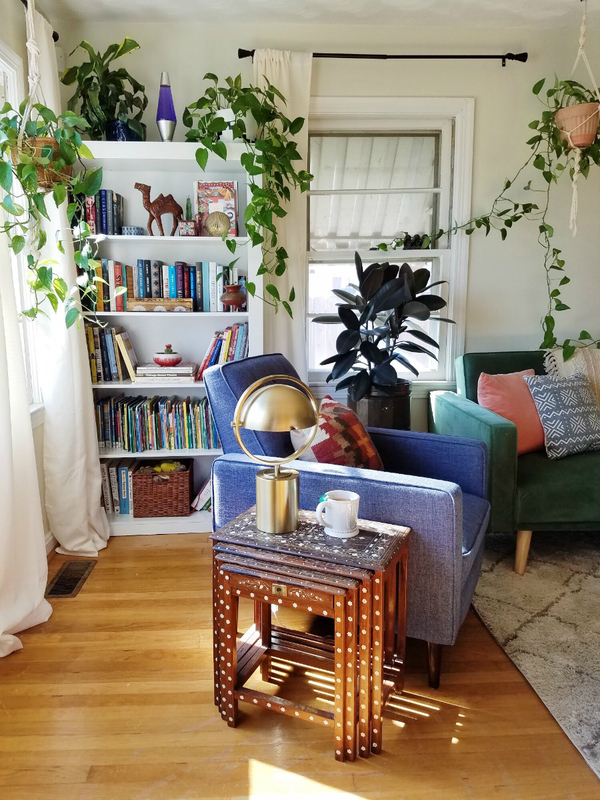 To encourage myself to stay on track with this goal, I decided to carve out a corner of the living room into a cozy reading space. 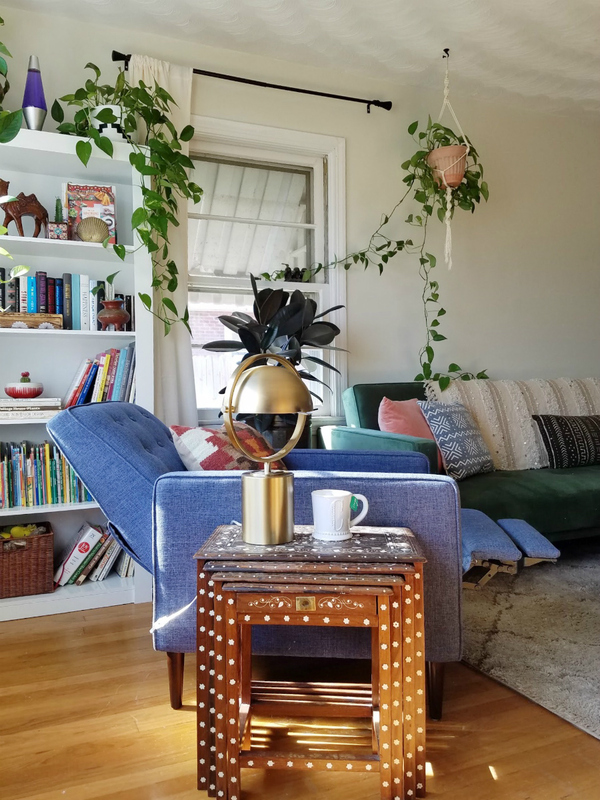 Today I'm going to share with you how to create a cozy reading space in your own home. This post was made possible through sponsorship by Wayfair. There are a few basics any reading space will need to function well. 1) Something to sit on. This could be an array of things for you. 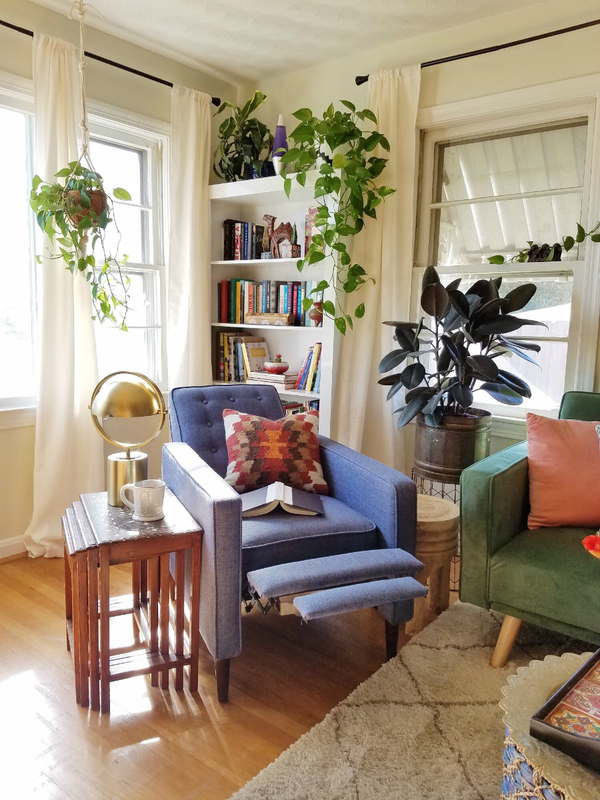 A bed, a chair, a floor pillow, whatever you find coziest to lounge on with a good book. My favorite is a recliner. It's the best of both worlds, right? A chair by day and a lounger by night. Wayfair has a variety of attractive recliners that are comfortable and design friendly. With the filters you can adjust results to fit your budget, color scheme, upholstery preferences, and more even down to the reclining and motion type. 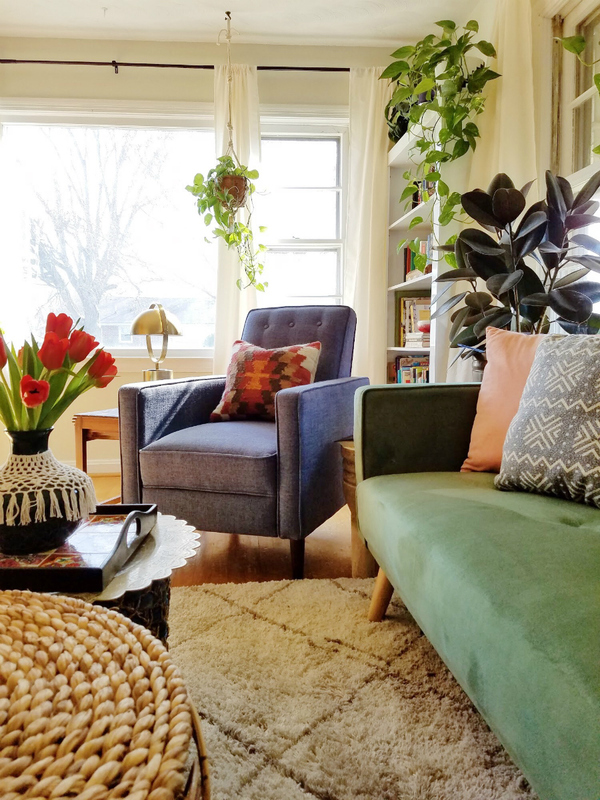 For my cozy reading nook, I chose to use the Navy Palatine Manual Recliner because it's easy on the budget and works beautifully with the design of our living room. Everyone in our house gravitates towards it because it's so comfortable! 2) Something to read. 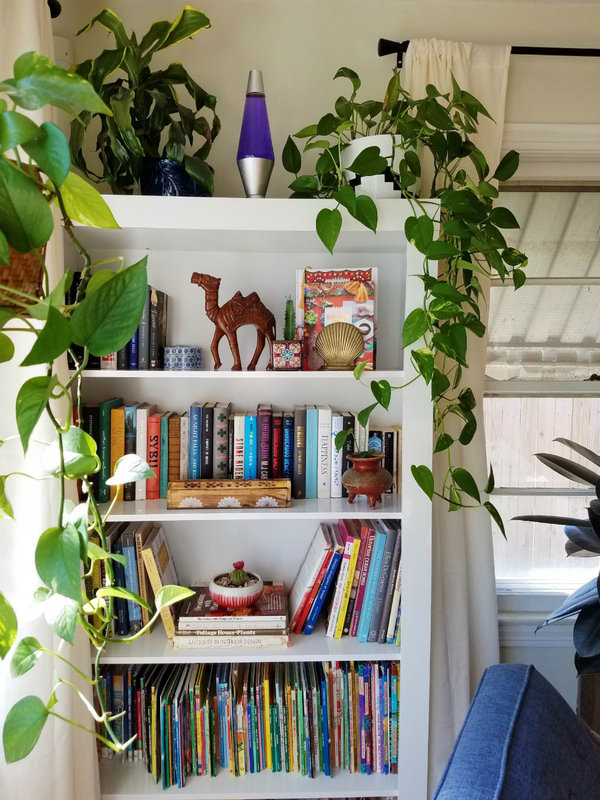 What's a reading space without something to read? My favorite sources for books are the dollar store (no joke!) and the used book section of Amazon. At nearly $30 a book for most books nowadays, that would put me at more than $350 for a book a month. I'm excited to get back into reading but not enough to prioritize the household funds that way. My biggest book purchase of the year will probably be the Outlander series, which I plan to buy used because I loved the first book. If you've got any good book recommendations, be sure to tempt me in the comments below. 3) Something to hold reading material. 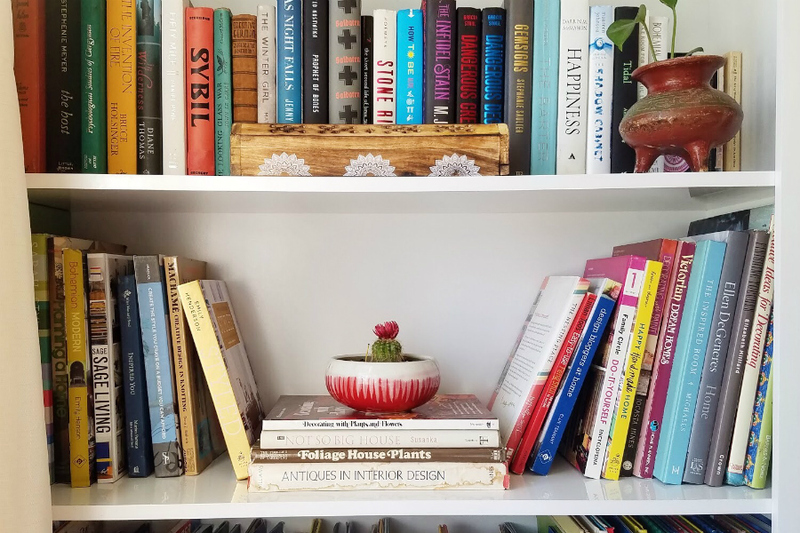 If you've got a lot of books or you just want space to display decor, collections, photos, too then a bookcase will work best. But if you've just got a small collection of books then a table with some shelf space could work well. More a magazine reader? A cute magazine holder adds a decorative and functional element to the space. Even a basket beside your chair filled with books means you can pick up and move to a new location of the house should you need to. I chose to use a tall white bookcase from Wayfair so that all of our books can be displayed here in mini library style. I have my fiction novels first, then my design books, children's books and at the bottom our reference books. 4) Something to see the books with. Or to put it simply, light. 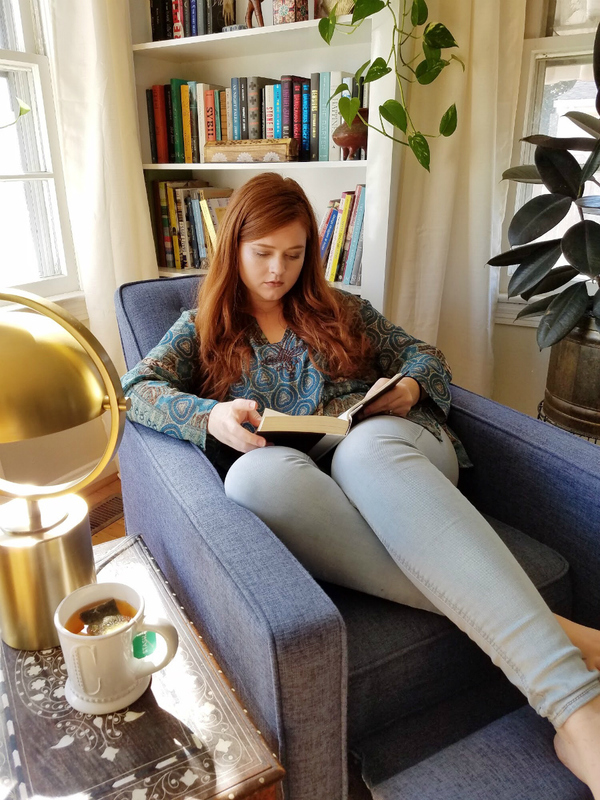 If you can put your reading space near windows, that's ideal but you'll need a lamp for reading in the evenings (or all night) so it's not necessary to be by natural light. Table lamps, wall lamps, floor lamps all work. I like a table lamp for the cozy indirect glow of light they provide to a space. 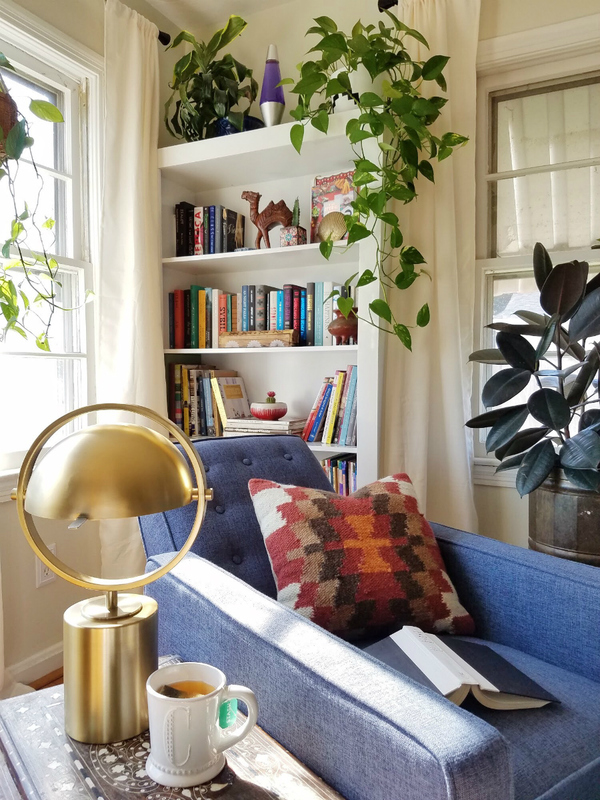 Those are the basics to create a cozy reading space but a few more elements elevate the feel and function of the space. The first being a table. I think most of us like to have something to sip on while we dive into a good book and a table is handy for putting a mug on to. Keeping a blanket or two nearby feels necessary for getting cozy with a good book. 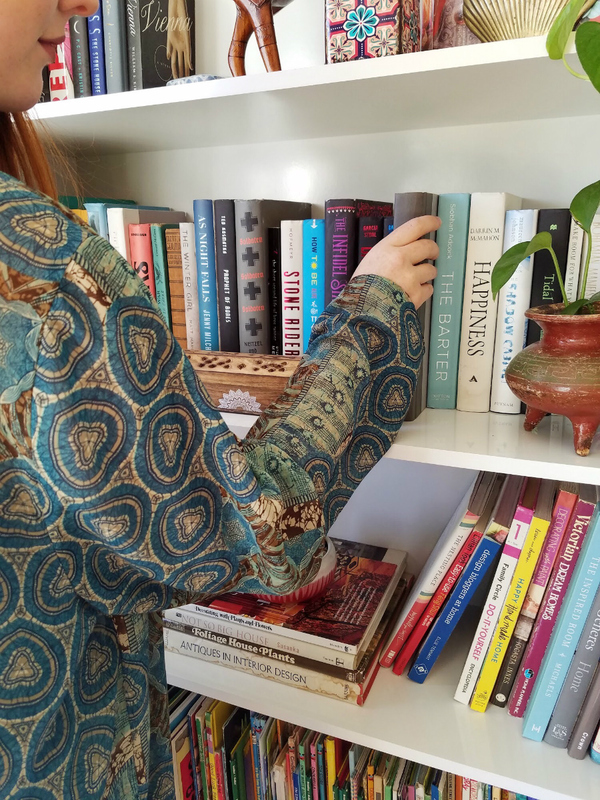 Plants are great book reading company since they don't talk much. And good scents whether that be your favorite candle, incense, wax melts or a diffuser. 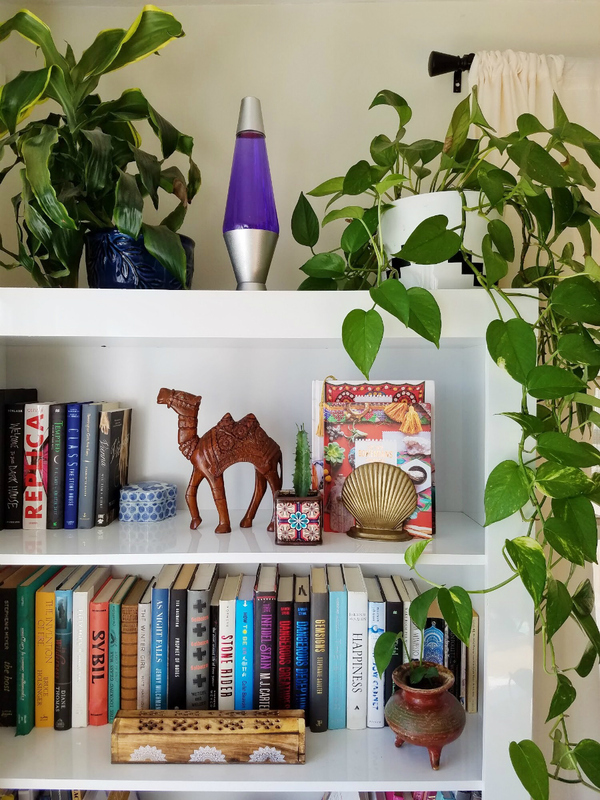 Much like any room of the house, you want to be surrounded by things that make you feel good and these things help pull a reading space together to do that. When we set a goal for ourselves, we need to foster it's success. Make sure you're setting yourself to succeed in the things you hope to accomplish. That may mean doing some prep like creating the space to do the goal in. I know I can read anywhere but to have my books set up in the space I'm in most of the day, I'm encouraged to think about and make time for that goal. To I've learned not to overwhelm myself when it comes to setting goals. If I set too ambitious of a goal, I end up burning out and falling off the bandwagon completely. So to make my goal of reading more attainable, I set a goal of one book per month. What are you doing to help yourself reach your goals?